The Ameraucanas are a multi-colored bird that are a mix of white, brown, red and black. They are characterized as having fluffy ear muffs. Famous for their blue and green eggs, Ameraucanas, are wonderful egg producers and have an impressibly long laying season; and are able to withstand hot and cold climates. 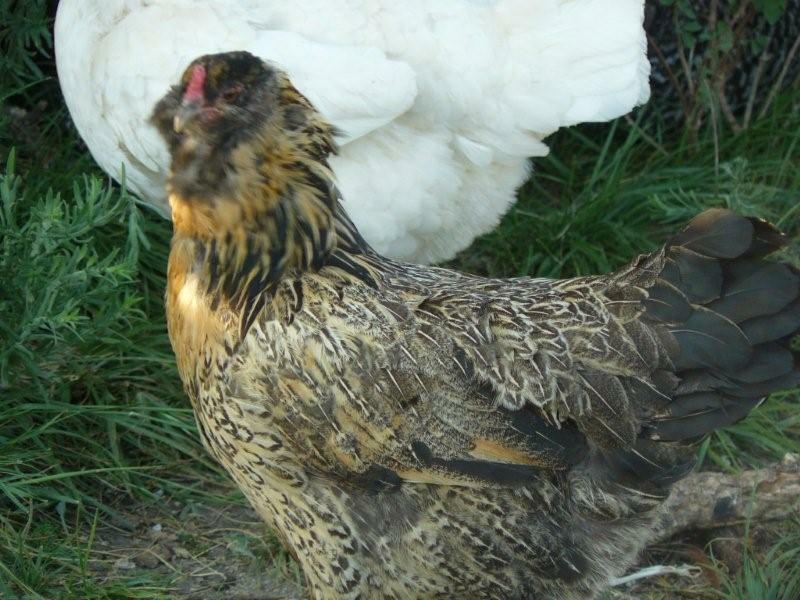 This breed derives from the Araucana but is a mix of breeds, which subsequently makes it not a show bird. The hen at adult size weighs 5 pounds. We raise these pullets in a stress free environment where they are able to forage for bugs and green grass. These girls make an excellent addition to any back yard flock. Their beaks are not trimmed to make foraging easier. Their foraging is augmented with a special All Natural Feed ration and have been fully vaccinated. 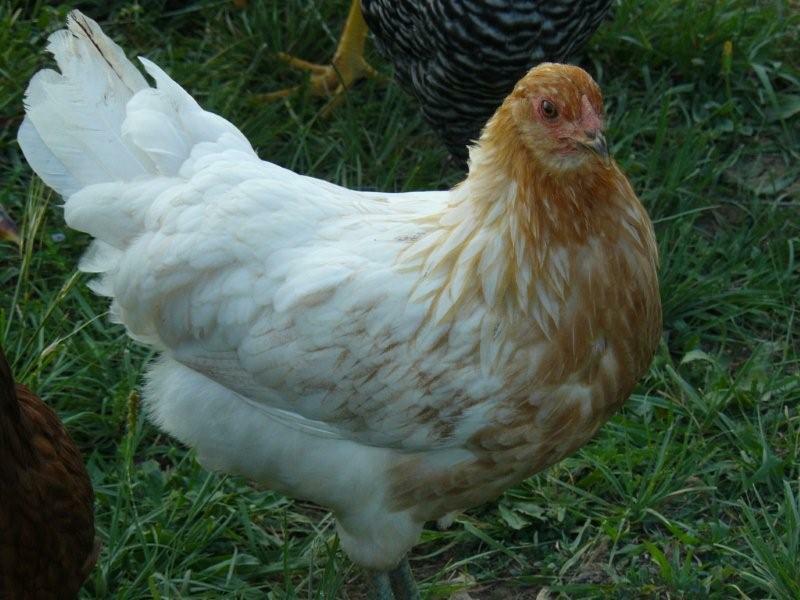 What is the minimum order for started pullets? There are no shipping minimums when ordering juvenile chicks (4-9 wks old) or started pullets (15-22 wks old). What is the age of the started pullets? Our started pullets are 15-22 weeks of age, when shipped. When you order started pullets, are you able to select the colors of your preference? Sorry, we cannot specify color of the pullet. Beautiful Pullets! !I purchased 3 of these in March and they arrived in perfect health. All three look very similar with mahogany and gold necks with blue feathers underneath. Each girl is just a little different than other to tell them apart. Their eggs aren't the typical blue or green. They all lay a true teal color! When wet they look olive green and when dry it has a blue bloom that makes it teal. My egg customers love this color and it definitely makes a beautiful carton of eggs with other the other various browns, blues, greens, and white. Pretty GirlsRecieved our three started pullets just about a week ago. They shipped to our Post Office well within the alloted time, and were in excellent health. These three make our fifth Americauna/Easter Eggers, and they are pretty birds for sure. They are a bit flighty, like the previous ones we've owned, but not too bad overall. They are gentle once caught, but all that we have owned have much preferred to be left alone rather than be handled. Hopefully they will calm down a bit as they get accustomed to their new home. 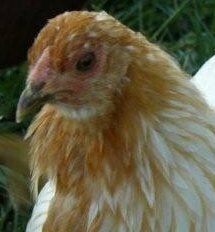 If they live up to their reputation as laying hens, we will be pleased, even if they may not be quite as calm as our Orpingtons, Australorps, and RIR's. Love being able to order 15-20 week pullets from Murray McMurray!